JD Plumbing and Heating are a trusted, professional company dedicated to the highest standards in every aspect of performance, with over 10 years' experience in the trade, based in Manchester and covering most of Greater Manchester. JD Plumbing and Heating specialise in installation of all types of central heating systems, boilers, and other gas appliances like gas cookers and gas tumble dryers. Our engineer is officially accredited with leading boiler manufacturers Worcester Bosch and Valiant and can therefore offer extended guarantees. 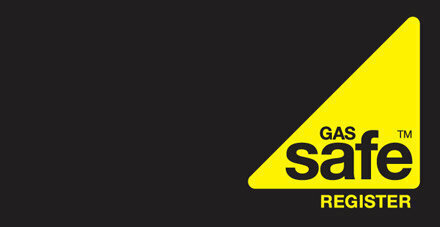 Our engineer is gas safe registered and fully insured with £10m public liability insurance cover for the customers peace of mind. Joe and his team have been one of the best trades we have had on our extension! They fitted new Worcester boiler, all pipes and radiators plus all the first fix plumbing for our new utility and en-suite! We have been so pleased and relieved to find a local trade we can trust. Great price, communication was first class, reliable, tidy and even managed to squeeze us in to get all the rads in before Christmas! Price differed slightly from original quote but kept completely informed throughout. Definitely recommend, and we’ll be using joe and his team again. Worcester boiler and thermostat is amazing our house is now toasty toasty!! Joe and colleague fitted a replacement combi boiler, and disposed of the old one. The whole process from quote to payment was efficient. They were quick, reliable and incredibly friendly throughout the process. We would have no hesitation in recommending them to others and will be using them in future. Joe managed to replace our boiler within a couple of days. He was very professional and all paperwork including invoicing was very clear. Amazing service - will use again. We had recently completed the purchase of our first property when the boiler was inspected and condemned by a British Gas inspector. We contacted JD Plumbing & Heating and asked for a quote to get a new combi boiler installed. Joe was prompt to reply to us via text and visited the property the following day. He arrived at the agreed time and checked where the boiler was stored before asking a number of questions to ascertain exactly what we were looking for. He provided us with a brief quote on the day and followed this up with an email containing full costs. His prices were very reasonable and he didn't try and pressure us to have extra work done - even taking a small amount off for a wireless thermostat we didn't need. This was our first major unexpected cost that came with the house so we really did appreciate him going the extra mile to give us the best price possible. On the day of the install, Joe and a colleague arrived early and got to work on removing the old boiler. They contained themselves to a small section of the kitchen and laid down a cloth to keep any mess off our kitchen surface. They worked independently throughout the morning and would take their shoes off when going upstairs which we both appreciated. By around midday they had completed their work and ran me through the new boilers interface. Joe explained the warranty and left a number of useful documents behind. They also arranged for all the rubbish and old boiler to be collected later the same day. Overall we are extremely happy with the work JD Plumbing & Heating completed for us. They were quick, reliable and incredibly friendly throughout the process. We would have no hesitation in recommending them to others and will be using them in future. Replacement of 30+ year old boiler with a combi boiler. Joe Dean provided a quick and efficient service from the moment I requested he came to survey the job and provide a quote. The boiler was to be fit inside an existing kitchen cupboard, so space was tight. He specified a compact boiler which was shoehorned in and there is now little evidence that any work has taken place. Taking out the cylinder created new much needed space in the airing cupboard with some extra piping to provide a little heat. The price was competitive, the work was done quickly and tidily. Joe and his assistant, Nick, were polite and friendly throughout. My daughter now has a much more efficient heating system backed by a 10 year warranty. I would not hesitate to recommend Joe to friends and family. We had a complete new boiler and fitted it for us. They were friendly and I would recommend them to anyone.